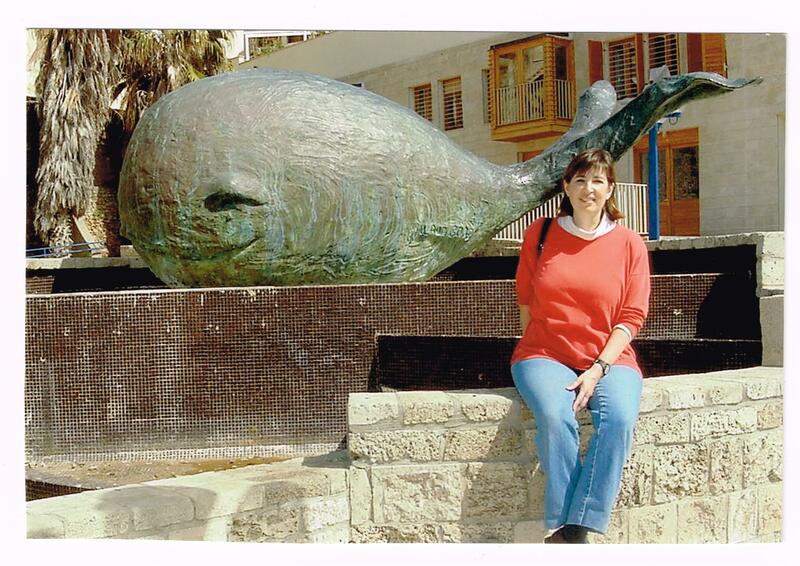 Posing in Joppa with the statue dedicated to the prophet Jonah, on my first and only trip to Israel in 2002. Believe it or not, I was in Tel Aviv to help with the translations of L. Ron Hubbard’s writings into Hebrew. Fortunately for me, most Israelis are fluent in English as well as Hebrew, because I don’t read, write or speak Hebrew. I worked as a consultant on the English language, and the source texts, helping translators find accurate definitions for English terms, and consulting on solutions for grammatical and idiomatic translations. In the 1970’s I had the opportunity to learn basic Japanese and travel to Japan as a missionary for the Church of Jesus Christ of Latter-day Saints. I will never forget the experience of communicating in baby-simple language the intentions of my heart and spirit. As a mother of two, I have used that skill my whole life. Whether as a story teller, a choir director, a paralegal explaining the wording of a trust to a client, or as a tutor to learning readers and translators, my joy has been to foster literacy and the joy of human expression through reading, writing and music. I started writing for publication at the age of 59. I had worked for over twenty years with people struggling to understand the texts they were reading. READING ALOUD and being read to are the most powerful tools for literacy I have found. That is why I began writing the Read-Aloud, Read-Along series of books for learning readers. Please find more of my work at ReadAloudReadAlong.com and on the Susan Call Hutchison page on Amazon.com. You are also welcome to sample my personal blog, Sue Scribbles. I’m enjoying your blog, too, Johanna! Great to meet a kindred spirit. That first line you wrote up there by the whale had me laughing out loud. I like your sense of humor. Keep writing. Thank you, Patti. Encouragement accepted! Thanks you for stopping by, because I needed a reminder to return to enjoy YOUR blog. Now that I know how to follow a blog, I’ll keep in touch. Cool. I’m still learning too. Glad you came back by. What a wonderful personal story! Sounds like you’ve had some fantastic adventures. I’m excited to read more about them in your posts. Thank you, Aaron! I’m enjoying your blog. I’m sure I’ll be learning a lot from you!